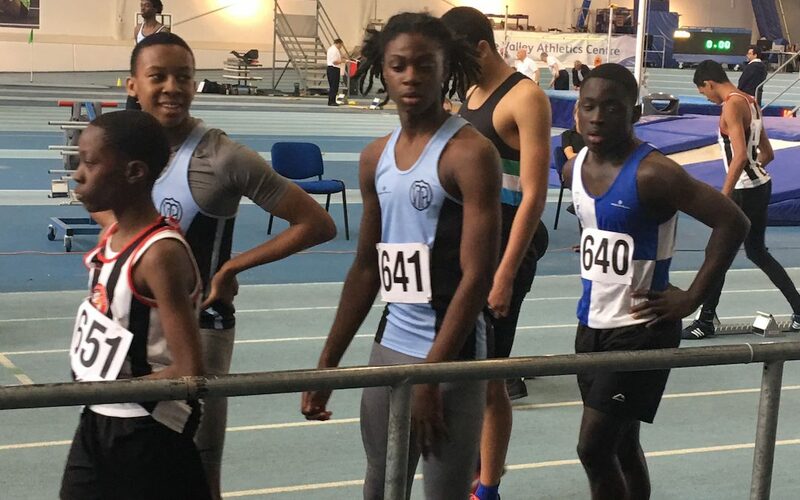 Athletes from Track Academy by Connie Henry in Willesden returned victorious from the Middlesex Indoor Championships, with nine medals under their belts. Four golds came home to the Willesden Sports Centre, with two won by Reece Earle who ran a personal best of 7.11 seconds in the Under 15 Boys’ 60m, and 23.58 seconds in the 200m in the same category. Ruth-Ann Otaruoh secured a 10.80m result in the Under 17 Women’s triple jump, while Mohammed Boumaraf raced to victory in the Under 15 Boys’ 300m with a time of 47.30 seconds. Elsewhere, Ruth-Ann won a silver medal in the Under 17 Women’s long jump with a personal best of 5.05m. Teammates Neon Richards, Milan Jervier and Kimberley Oamen also picked up silver medals, with Patrica Grudz-Edmondson bagging herself a bronze. Ten other Track Academy athletes achieved personal bests on the day at the Lea Valley Athletics Centre in Edmonton.